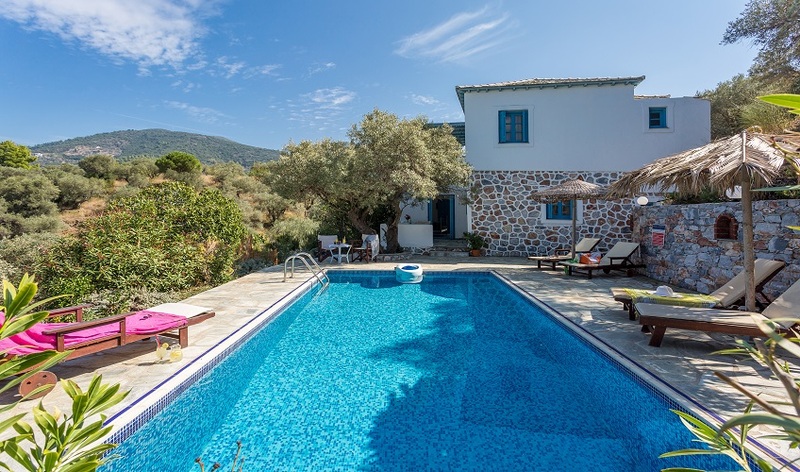 Villa Rania is situated in the pretty unspoilt countryside not far from the delightful capital town of Skopelos with its appealing maze of cobbled streets and a variety of quintessentially Greek tavernas and bars. 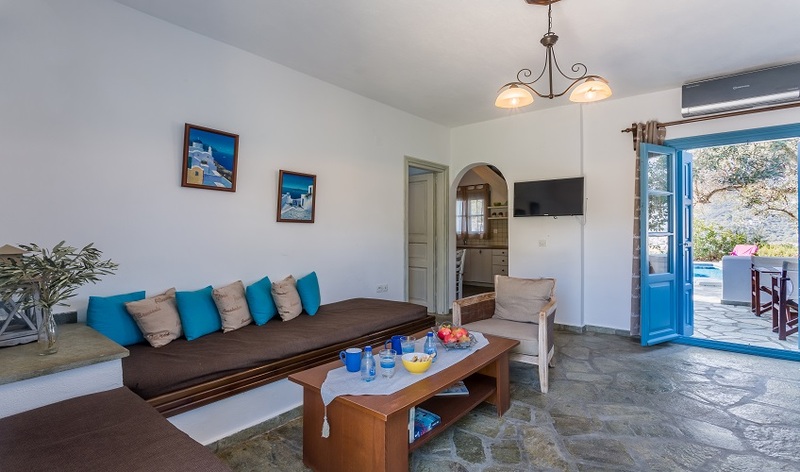 From the villa you have splendid views over the rolling hills and down to the town, with the white washed walls and slate tiled roofs which are typical of local Sporadian architecture. 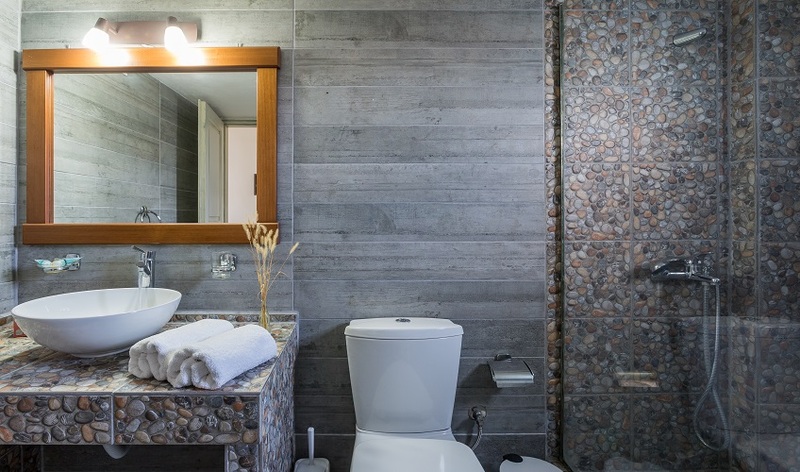 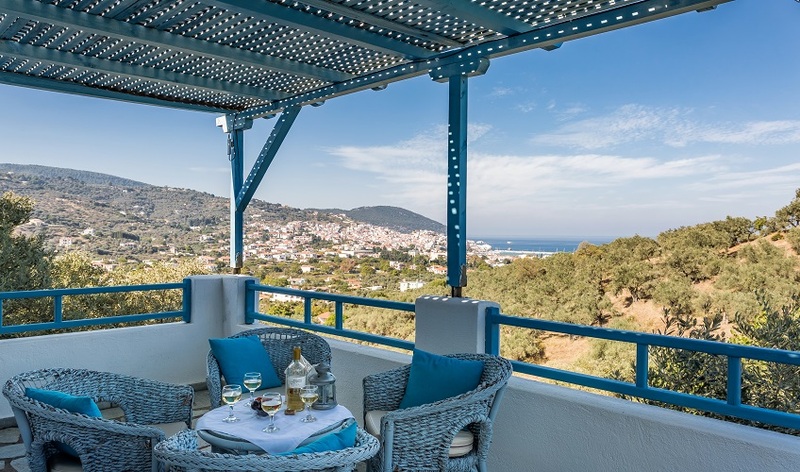 Although it’s great location in the hills that makes for a perfect retreat, it is also conveniently situated for all the amenities of Skopelos Town as well as the popular beaches of Stafylos and Veliano. 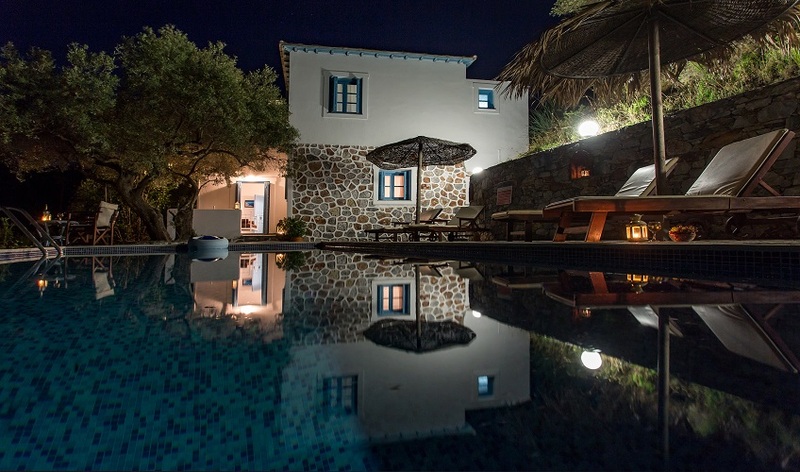 The villa is built on two levels and is comfortably furnished. 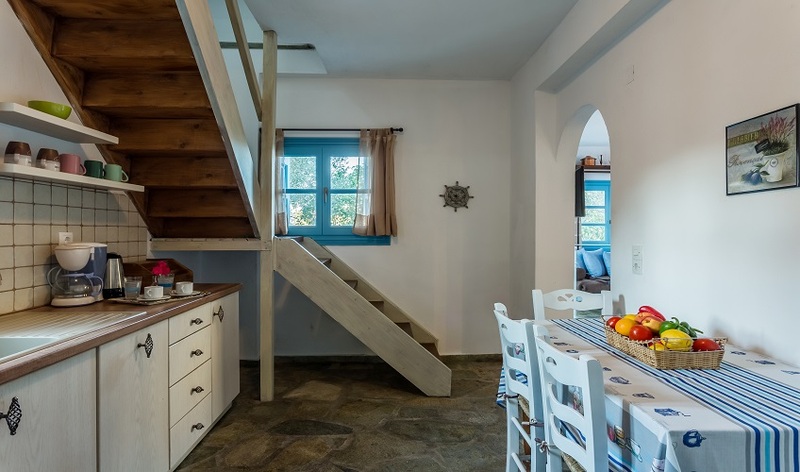 The main entrance on the ground floor leads into an open plan living room and kitchen/dining area. 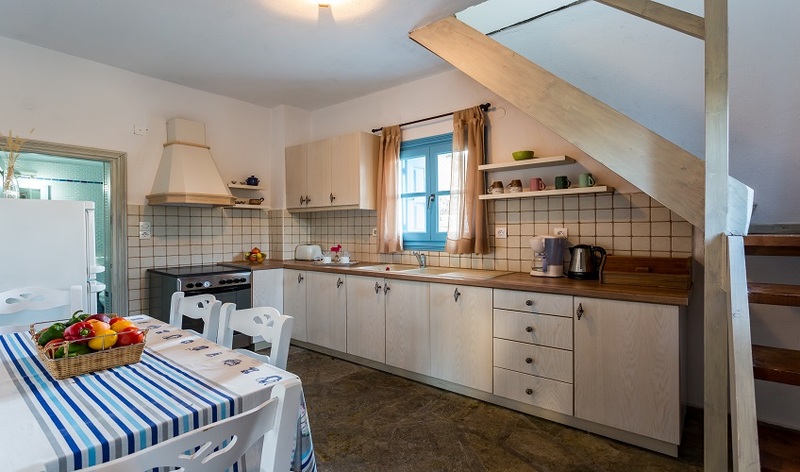 The large doors and windows let in plenty of natural light giving the house a wonderfully cool and airy feel. 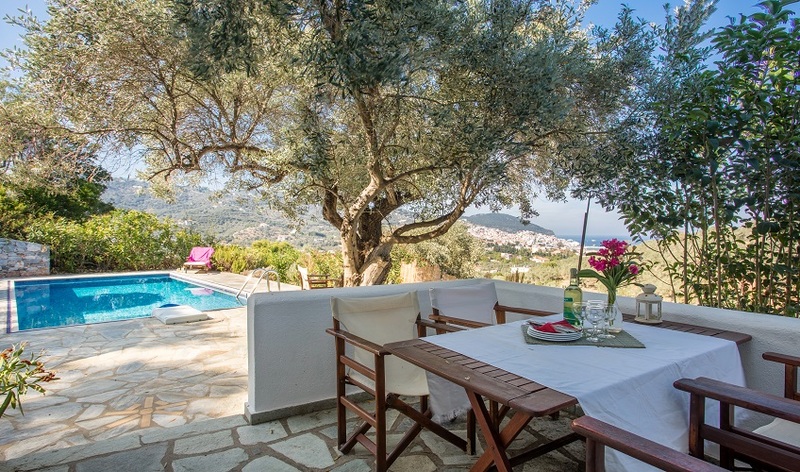 The patio doors lead onto a terrace with a lovely outdoor dining area perfect for al fresco living. 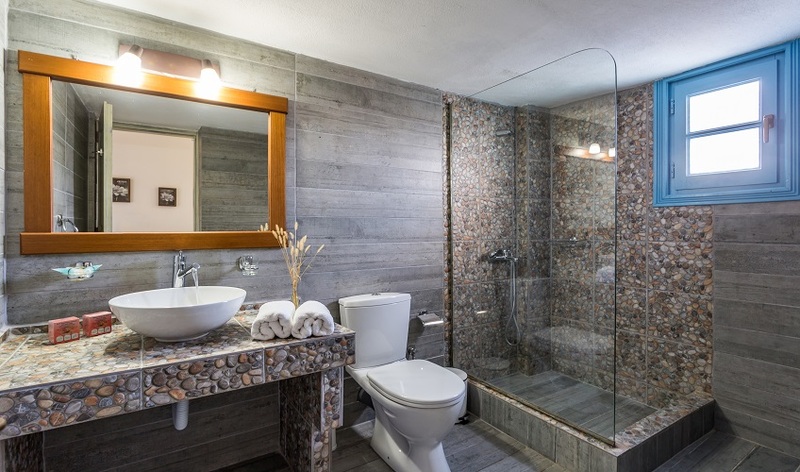 There is also a twin bedroom and shower room on this floor. 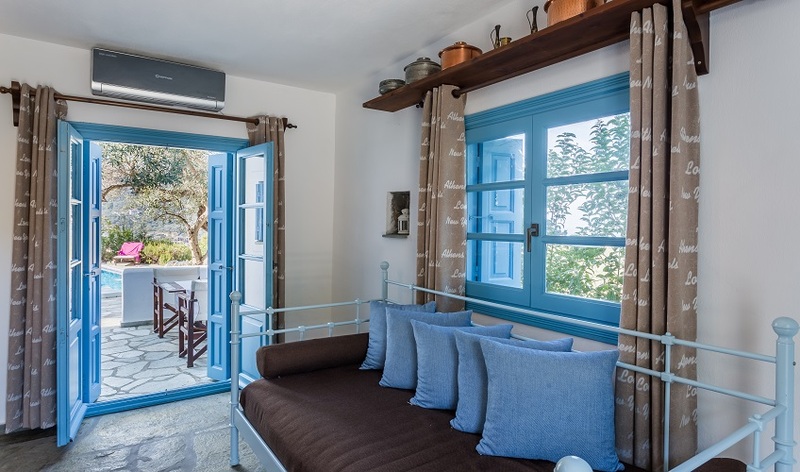 A wooden stairway leads upstairs to a shower room and two air conditioned bedrooms, both open out onto a spacious and shaded shared verandah with the most fantastic views of the valley down to the azure sea. 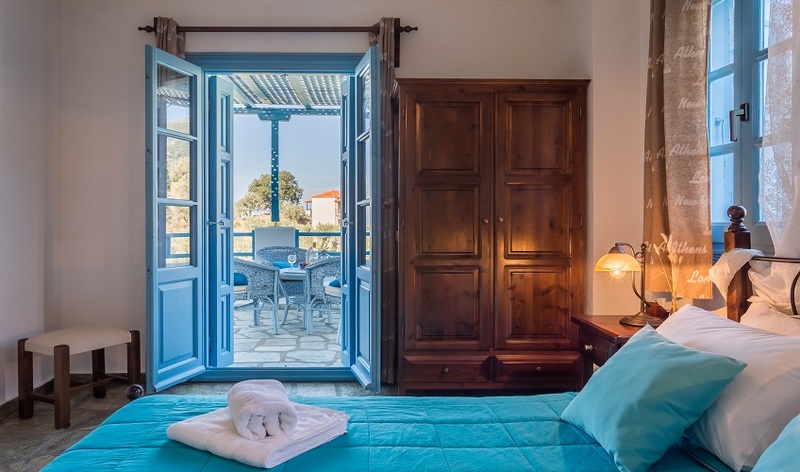 Relaxing on your terrace or by the swimming pool, the pine scented air and enthralling views toward the sea give you the impression that you are in a wonderfully remote hideaway. 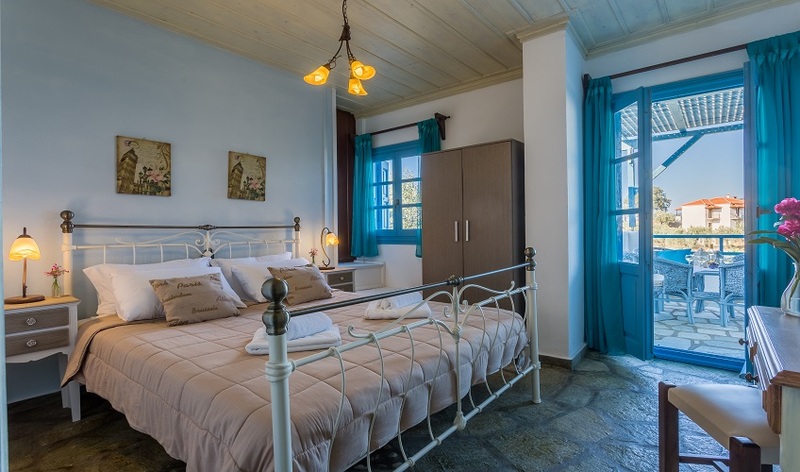 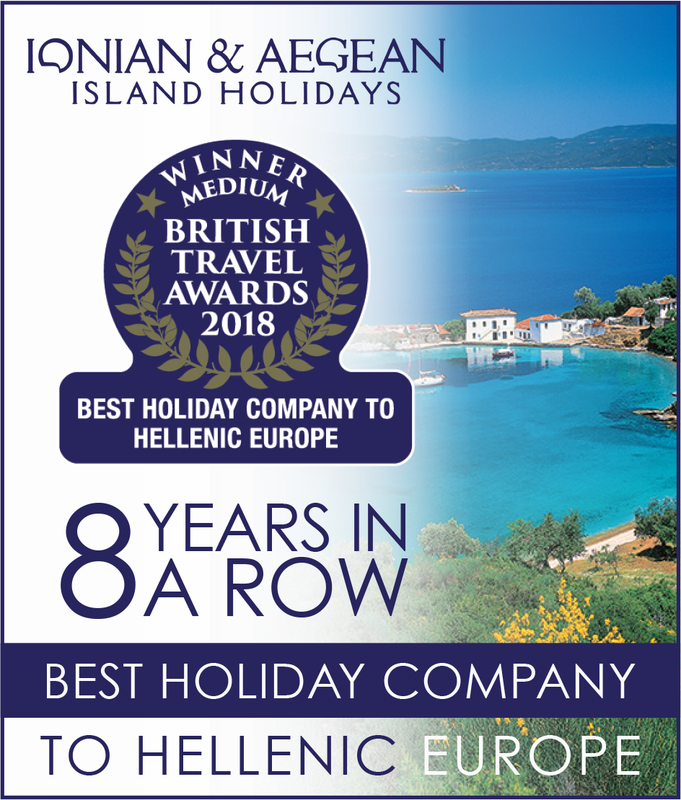 This picturesque haven is typical of the Greece you imagine, the leisurely pace of life giving you ample opportunity to savour every single moment on this tranquil and beautiful island. 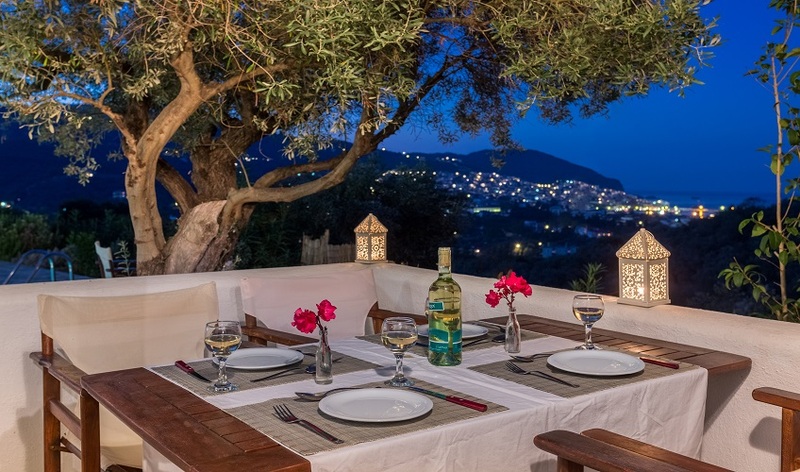 Villa Rania is suitable for couples or families looking for a villa in a convenient location with the amenities of Skopelos Town and beaches close at hand with the town just a short drive away and beaches only a ten minute drive.